Express yourself with your collectibles! Mymojis are some of your favorite characters as 1 1/2-inch emoji mini-figures! Each mini-figure in randomly blind-bagged and includes a free digital download code for a Mymoji emoticon. 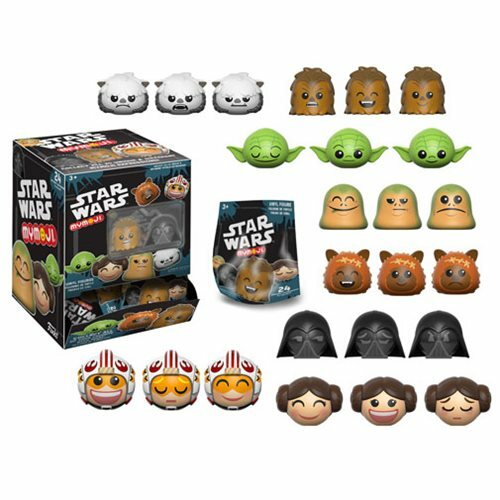 The Star Wars Series 1 Mymoji Mini-Figure Display Case includes 24 blind bagged mini-figures. Ages 3 and up.